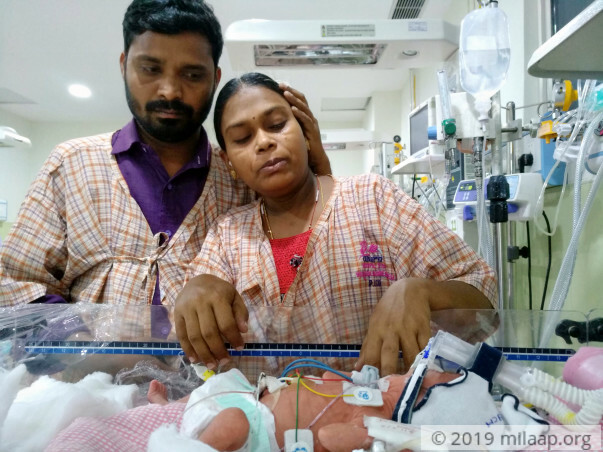 Deepa and Abhilash's baby was born a month before due date – severely underweight and unable to breathe. Her lungs have yet to fully develop. Till she can breathe on her own, she needs breathing support. Unfortunately, her parents have already borrowed heavily and need help keeping her alive till she is ready to face the outside world. 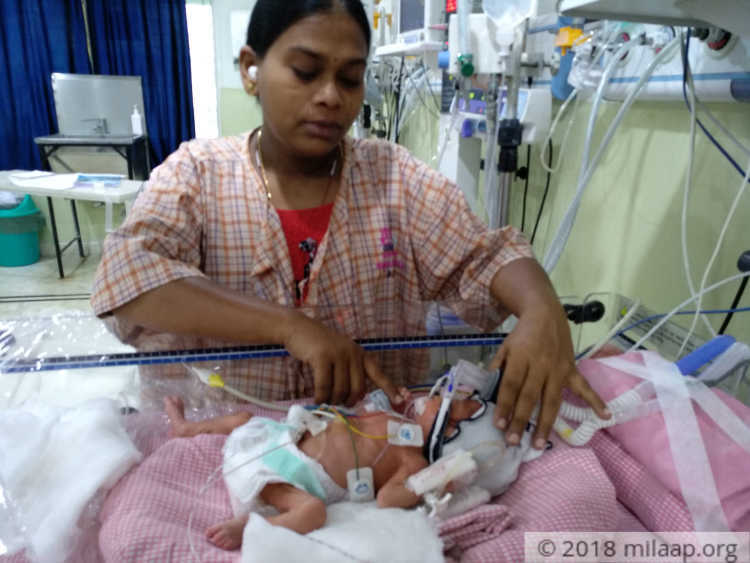 Deepa's baby was born after a very difficult pregnancy. From the fourth month, her blood pressure became very high. This is very risky because it results in poor blood flow to the baby, hampering its growth. There is also a high chance of dangerous internal bleeding. 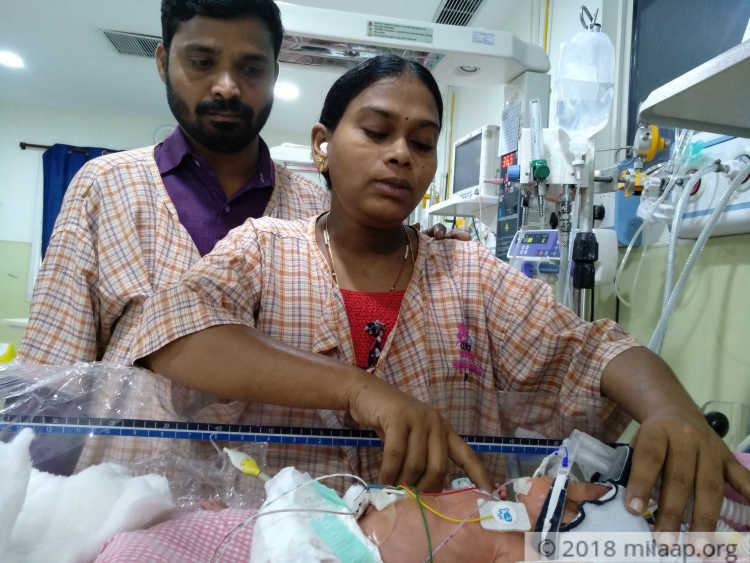 At the doctor's advice, the baby was surgically delivered almost a month earlier to save both the mother and the baby. Abhilash is a helper in an ayurvedic store. He earns Rs 7,000 a month. 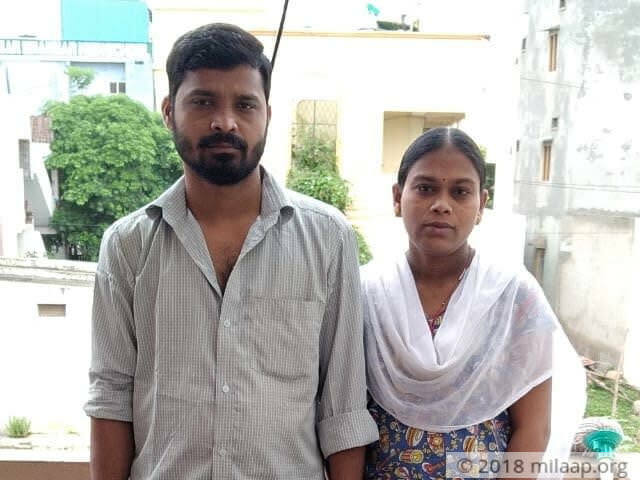 For Deepa's c-section and for the baby's treatment till now, he has borrowed over Rs 6 lakhs. 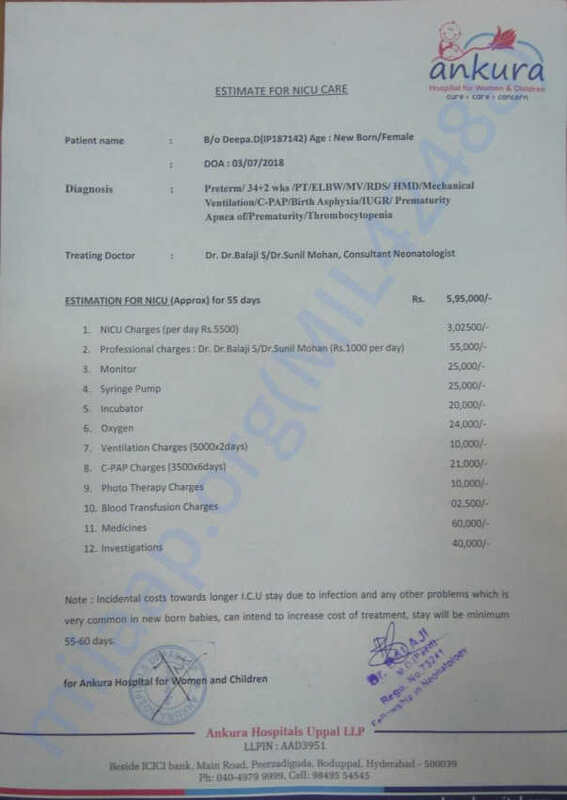 The baby needs treatment for another month and it is getting very hard to continue arranging for funds. These new parents have no doors to knock to ask for help. The baby is too weak to even drink her mother's milk. Every day she gets stronger, but to really live and thrive, she needs breathing support until her lungs are better. 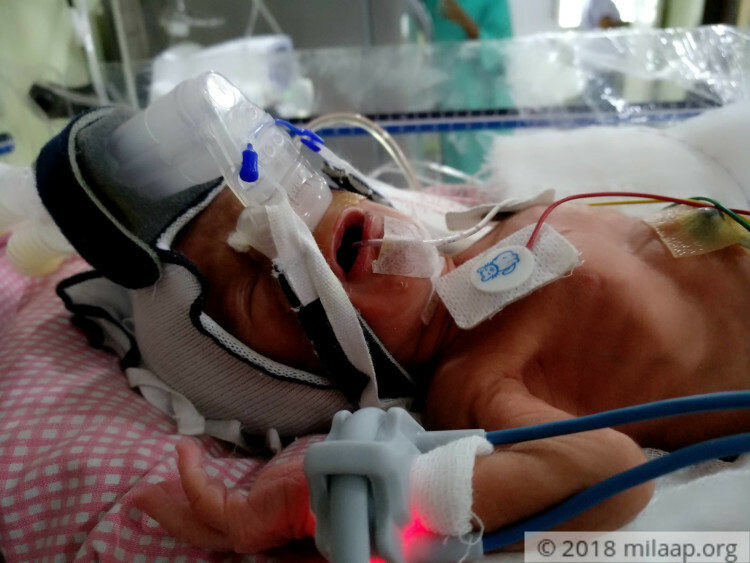 Her parents want to save their baby, but their financial condition has not left them any choices. They need support to help their baby. Your contribution can give life to an innocent newborn. Thank you for the support you have shown towards Deepa's baby. 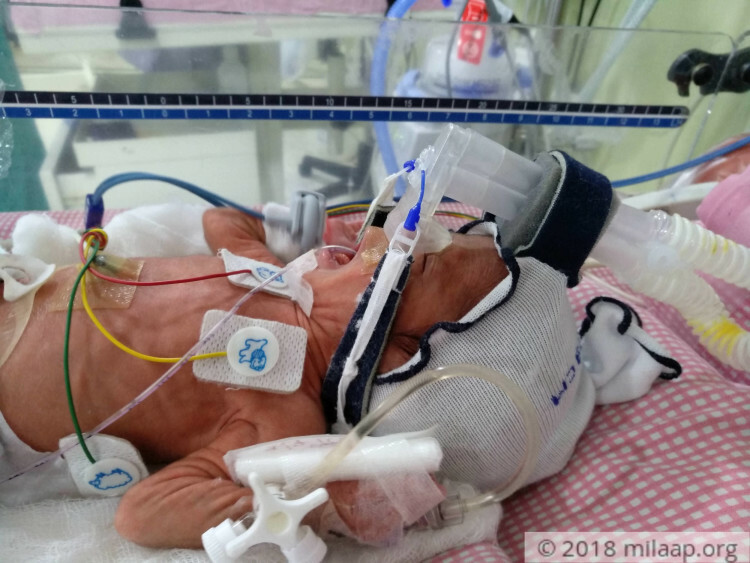 The baby due to its preterm condition was given extra care. Baby improved gradually, respiration also stabilised. Baby slowly started on tube feeds and now on direct mother feed. Baby is discharged and doing well at home. Parents are thankful to all donors.